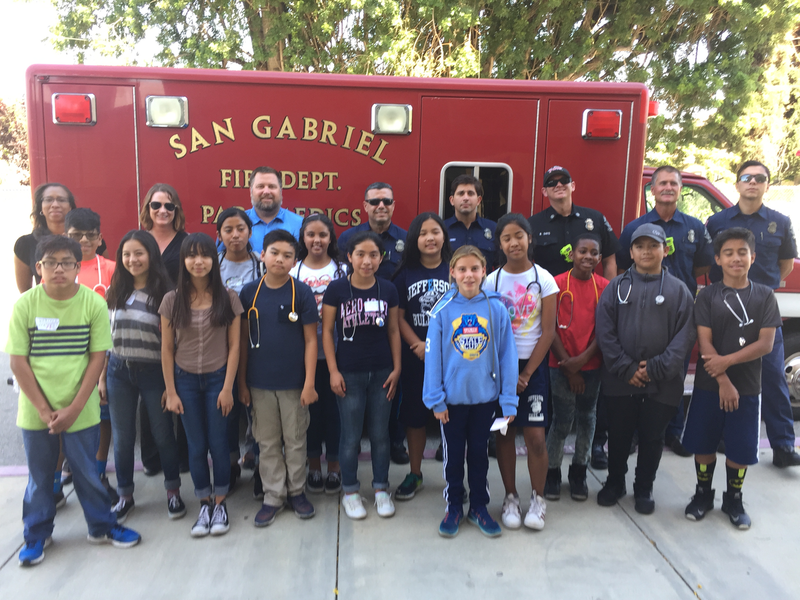 SEF Board President Dr. Chasity Jennings Nunez welcomed them on campus introducing Captain Davis, Engineer Irwin and Firefighter/Paramedics Negrete, Fierro & Terry to the students. 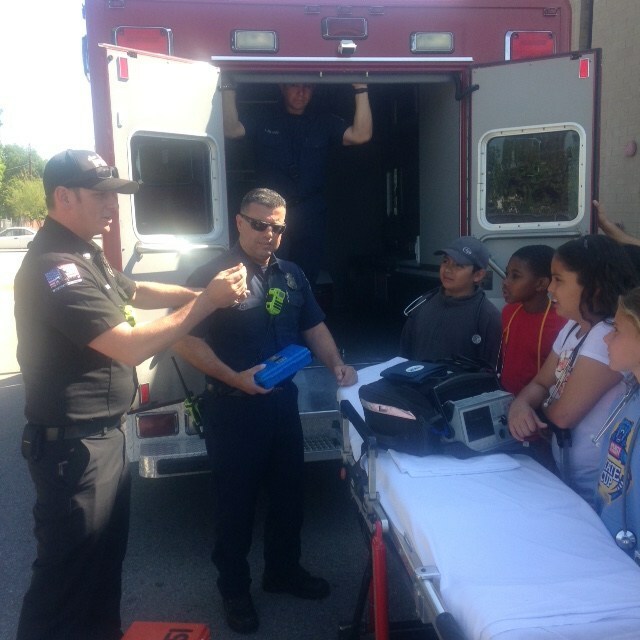 Firefighter Negrete gave an incredible presentation that made quite an impression on everyone and left the students in awe. Working closely with the firefighters the students were then able to practice first hand some of the things they have been learning in the classroom. 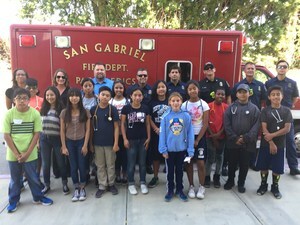 We are grateful to the SGFD for their partnership in support of the students in our community, the Institute of Natural Medicine for their funding of the program, JMS Principal Matt Arnold for his continued commitment to educational excellence, Dr. Jonci Jensen for the development of such a fabulous after school class and of course Dr. Chasity Jennings Nunez for her remarkable leadership. Please join me as we thank them for inspiring our young students to dream, learn and become more, looking forward to tomorrow with the confidence they need to succeed! Together we can and do make a difference!